Caribbean Stud Poker Progressive Jackpot launch by Evolution Gaming. 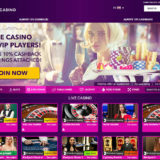 Evolution Gaming has added a new Progressive Jackpot to Live Carribean Stud Poker. It’s an optional extra for Evolution Live Casinos so it may be a while before we see a widespread uptake. 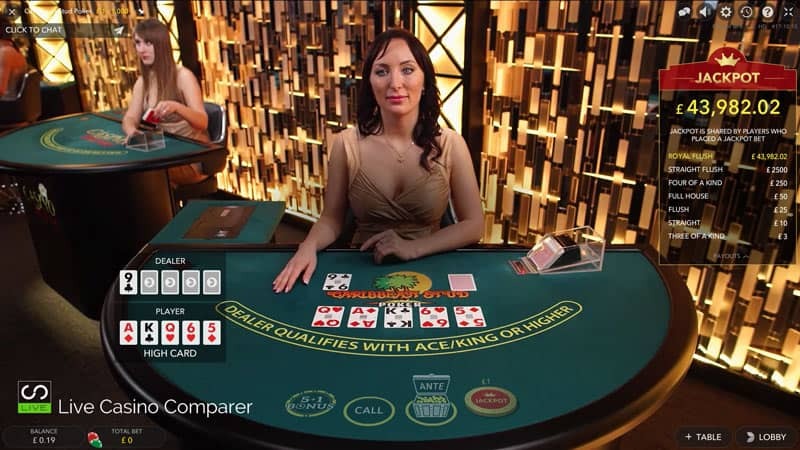 It’s a side bet that costs £1 to play and will payout the jackpot if the player hand is dealt a Royal Flush. 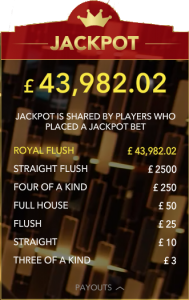 All players playing the progressive jackpot at the time a Royal Flush is hit will receive a share of the published jackpot. To keep things interesting there are 6 lower value fixed prizes to be won if you hit a hand that is 3 of a Kind or greater in value. You’ll win the amount displayed below. This is not shared amongst other players. 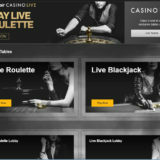 Royal Flush – Pays the displayed Progressive Jackpot. 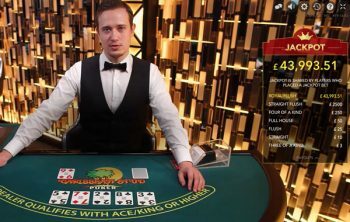 Straight Flush – Pays £2,500. Four of a Kind – £250. 3 of a Kind – £3. 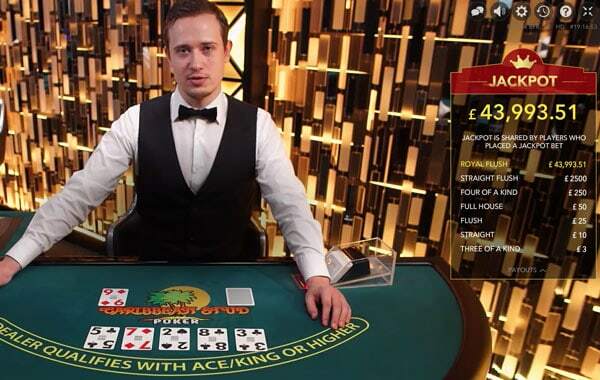 Evolution Gaming has seeded the first jackpot with €50,000. 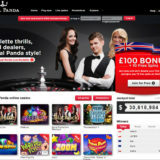 For every £1 bet a sum will be put aside in a reseed pot, so that when the Progressive Jackpot is won a new pot can be provided. All bets and payouts are in the local currency you’re playing in. All progressive prizes are paid out even if the player folds his hand or is beaten by the dealer. What happens if the game is cancelled? If the game is cancelled before five cards were dealt, then the Jackpot bet is refunded to the players. 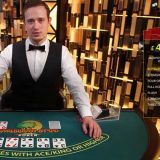 If the game is cancelled after the dealer has dealt five or more cards, and the player wins on the Jackpot side bet, payment to the player will be reviewed and made after the licensee has confirmed the payout and the player notified via email.